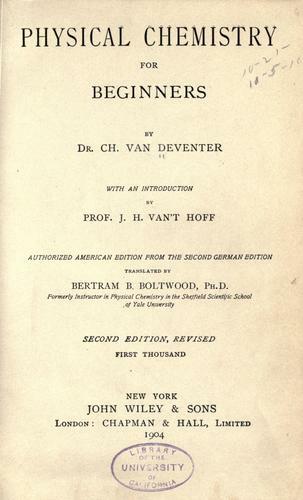 2 editions of Physical chemistry for beginners found in the catalog. Add another edition? 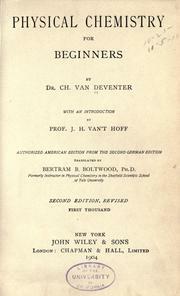 Published 1903 by J. Wiley & Sons; [etc., etc.] in New York .